By buying this product you'll earn up to 799 Rewards points. Does this sound like you? You're not a professional cinematographer, but want your video to look great, and details matter. 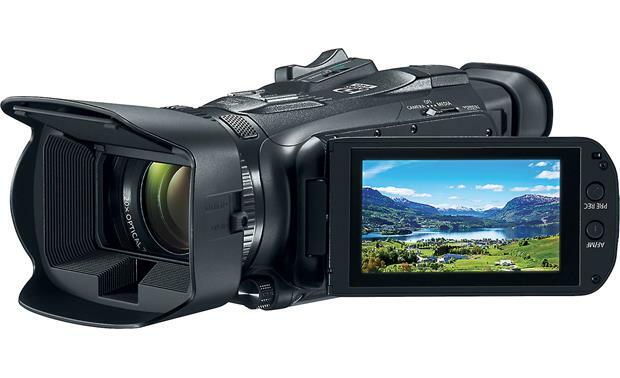 The Canon VIXIA HF G21 has intuitive controls, and plenty of advanced features for you to explore when you need them. It gives you options, so you can get creative with confidence. The Canon VIXIA HF G21 has a 3" LCD screen that helps you frame and review shots. The camera offers 20X optical zoom, with a manual focus ring, so you can get closer to the action and make sure the image is crisp and clear. There's also a large CMOS image sensor that captures rich colors and fine details. It can shoot sharp images in low light, or in bright light. You can shoot time-lapse footage up to 1200X and slow motion down to 0.4X. Keeping an image stable while you're shooting can be challenging. The VIXIA HF G21 features Intelligent IS that chooses the best type of image stabilization for your environment, as well as manual control for those times when you want to get very specific and "hands-on" with your shots. When you're zooming in or out, you can keep the motion smooth by choosing from one of 16 constant zoom speeds. There are a couple of ways to make sure your shot looks good before, during, and after recording. When you peer into the viewfinder's eyepiece, you're looking at a 1.56-million-dot image of your scene. If you want to see it even larger, just flip open the 3" LCD touchscreen. You'll get a dazzling full-color HD look at what your camera sees, so you can make timely adjustments and get it just right. Built-in Wi-Fi makes this already capable camera more convenient. Share files easily between devices. Control the camera from a laptop, tablet, or smartphone, and easily upload your videos for sharing with family, friends, or social networks. You can use the dual memory card slots to record high-quality AVCHD video files on one card, and simultaneously capture MP4 video on the other card for easy playback on mobile devices or uploading to social media on the web. It's the best of both worlds, with minimal effort. shutter speeds up to 1/2000 sec. 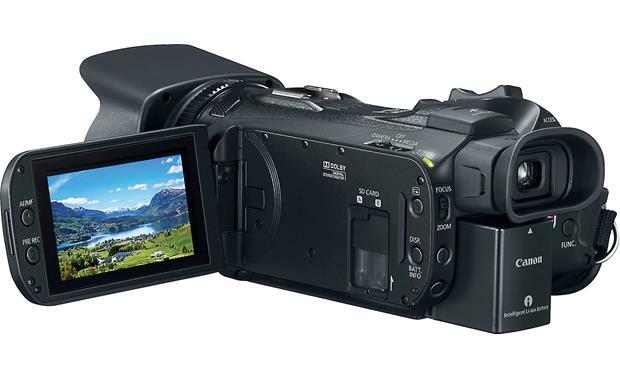 Overview: The Canon VIXIA HF G21 Flash Memory camcorder shoots high definition video or digital photos that can be stored on SD, SDHC, or SDXC Memory Cards. 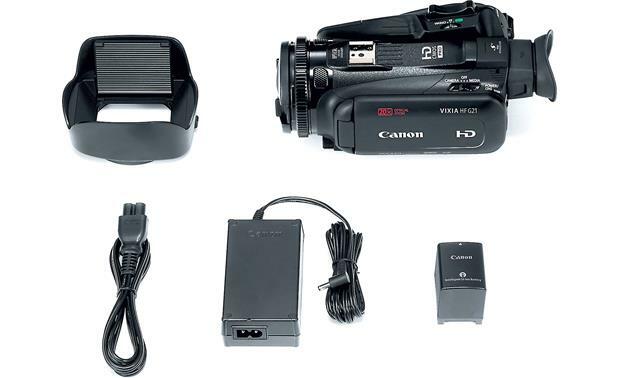 The camcorder comes with a rechargeable battery, battery charger, and lens hood. Image Sensor: The HF G21 features a 1/2.84", 2.91 Megapixel HD CMOS Pro image sensor. The sensor has a resolution of 2136 x 1362 pixels to give you sharp video images with lots of detail, even in low light situations. The video is processed by the on-board DIGIC DV4 image processor. 3.0" LCD Touch Screen: The HF G21 features a 3.0" widescreen, capacitive touch-sensitive LCD screen with approximately 460,000 dots and 100% field of view. The flip-out LCD panel can be rotated 270° (180° forward, 90° backward), allowing you to shoot videos from high and low angles. Onscreen buttons allow you to maneuver through the menus and change settings. You can also review your images by swiping your finger up/down or left/right across the screen. Viewfinder: In addition to the 3.0" LCD screen, the camcorder also features a separate 0.24" TFT color viewfinder with 1.56 million dots. The viewfinder is activated when it is pulled out, and you can tilt it up to 45° for easier viewing. A dioptric adjustment lever lets you adjust the viewfinder to your eyesight. The viewfinder includes a large, comfortable eye cup for blocking out light to improve visibility. 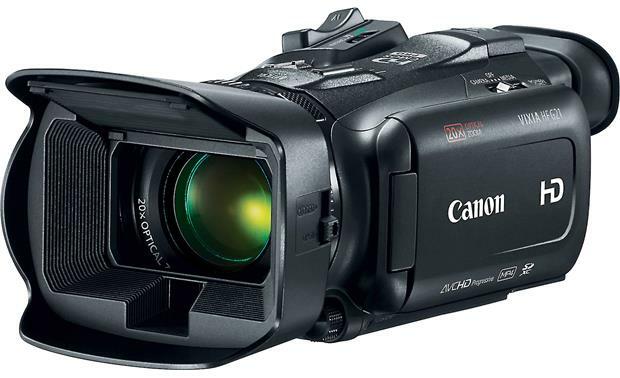 Recording Media: The Canon HF G21 camcorder captures video and still-images SD, SDHC, or SDXC memory cards (sold separately). Cards rated as Speed Class 4, 6, or 10 are recommended. 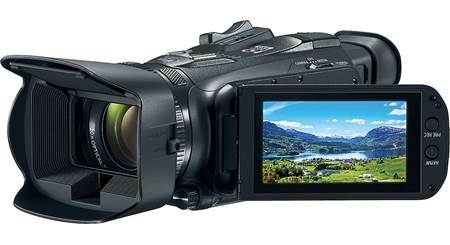 The camcorder is equipped with two memory card slots, giving you added recording capability. Recording simultaneously on both memory cards (Dual Recording) provides an instant backup for your recordings. You can record in the same video format and recording mode on both cards, or choose to record in a different format on each card, resulting in smaller files that can easily be transferred to a computer. Another option is Relay Recording, allowing the camcorder to automatically switch from one memory card to the other when the first card becomes full. 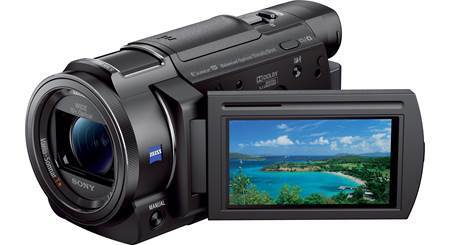 Recording Formats: The camcorder records movies in AVCHD (MPEG-4 AVC/H.264) or MP4 video formats. When recording in AVCHD, you can choose Linear PCM (16-bit, 48kHz, 2 channel) or Dolby Digital (2 channel or 5.1 channel) audio. MP4 recordings feature 2-channel AAC audio. Still photos are recorded in JPEG compression. Note: 5.1-channel audio recording requires the optional SM-V1 Surround Microphone. Mini Advanced Shoe: The top-mounted Mini Advanced Shoe allows you to attach a range of optional accessories, such as video lights (VL-5 or VFL-2) and external microphone (DM-100) without the need for additional cables. Genuine Canon Video Lens: The HF G21 comes with a Genuine Canon HD video lens with a 20x Optical zoom (35mm equivalent: 26.8 - 576mm) and a selectable 4x or 20x digital zoom for a 80x or 400x total digital zoom. It includes 12 elements in 10 groups, including a double-sided aspheric element). The lens has a 58mm filter thread, allowing you to add screw-on filters, the TL-H58 tele-converter, or the WA-H58 wide attachment. A lens hood is included to reduce the amount of stray light to enter the lens. Focus/Zoom Ring: When using the focus/zoom ring, the zoom speed is controlled by how quickly you turn the ring. Zoom Rocker: The zoom rocker, by default, operates at a variable speed--gentle press for a slow zoom, harder press for faster zooms. Overall zoom speeds can be set to Slow, Normal, or Fast. You can also change the zoom speed to one of 16 constant speeds. Touch Screen Control: Using the Touch Screen, you can zoom in and out by pressing the W (wide) or T (tele) areas. Soft Zoom Control allows you to start and/or stop the zoom gradually. Digital Tele-Converter: You can digitally increase the focal length of the camcorder by a factor of approximately 2x and record the enlarged image at full HD resolution. Advanced Image Stabilization: The HF G21 has an Optical Image Stabilizer (lens-shift type) system to reduce image blur caused by camera shake. Image stabilization options can be selected manually, or the Intelligent IS mode can automatically detect the type of movement and select the proper correction. This dynamic Image Stabilizer can apply correction for axis roll, vertical roll, horizontal, up/down, and left/right movement. 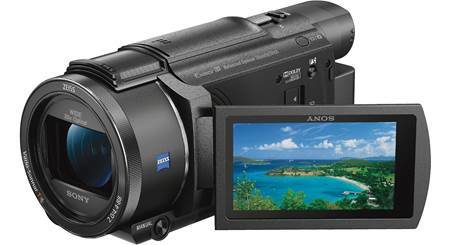 Auto: The camcorder takes care of all of the settings while you concentrate on recording. Manual: The manual setting gives you full access to menus, settings, and advanced functions. Cinema: The Cinema mode gives your recordings a cinematic look. The Cinema-Look filters help you create unique movies. Highlight Priority: The VIXIA HF G21 features a Highlight Priority mode to help you capture bright, realistic colors and color gradations that you can see, but rarely get picked up on video. Highlight Priority prevents loss of detail in bright areas of the scene by reducing the mid- to high-brightness compression of the standard gamma modes. When displayed on a bright LCD TV with a high brightness setting, your videos will show the highly saturated, rich colors of the original scene. Wide DR Gamma: The camcorder's Wide DR Gamma mode helps you capture natural-looking images as they appear in real life. By preventing overexposure in bright areas of the scene, Wide DR Gamma mode achieves a wide dynamic range of up to 600% so you can see all of the color and detail of the scene. Video Snapshot: The camcorder's Video Snapshot mode lets you shoot a series of short video clips, then combines them with a pre-recorded music track or your own favorite music track, to create an entertaining movie. You can select the length of the video snapshot scenes: 2 sec, 4 sec or 8 sec. Instant Auto Focus (AF): The HF G21 offers Instant Auto Focus, which uses an external sensor, in combination with Canon's auto focus system, to help significantly decrease the time it takes to focus, even in low light situations. The Focus Assistance feature provides a 2x magnification of your subject in the LCD monitor before you start recording. When recording begins, the Focus Assist is canceled. Other Autofocus modes include Medium AF and Normal AF. Manual Focus Ring: The HF G21 has a manual focus ring that helps you achieve the focus you're looking for. The focus ring response can be set to fast, normal, or slow, plus the focus direction can be set in either direction. Face Detection: The camcorder can automatically detect people's faces and use this information to adjust the focus and set the best exposure and color control settings for beautiful videos and photos. When there are a number of people in the picture, one person will be determined to be the main subject. You can also select the main subject manually. Smart Auto: The Smart Auto setting automatically selects the best settings for the scene you want to shoot. You get spectacular recordings every time without worrying about the settings. Programmed AE: The camcorder automatically adjusts the aperture and shutter speed to obtain the optimal exposure for the subject. Shutter Priority AE: You choose the shutter speed to freeze or blur the shot while the camcorder selects the appropriate aperture for the scene. You can select shutter speeds of 1/8 to 1/2000, or 1/6 to 1/2000 when the frame rate is set to 23.98P. Aperture Priority: You choose the aperture to affect the depth of field and the camcorder selects the appropriate shutter speed for the scene. You can choose from 18 aperture settings between f/1.8 and f/8.0. Manual Exposure: When automatic exposure settings do not produce the proper exposure, you can adjust the exposure manually. In Manual Exposure mode, you can adjust the aperture, shutter speed, and gain to achieve the desired exposure. You can use the available Zebra Pattern to identify overexposed areas, if needed. In addition, Exposure Compensation and the Touch AE function can help you make fine adjustments to the set exposure. Special Scene Recording Modes: The camcorder features the following Preset Scene Recording Modes to match special conditions: Portrait, Sports, Night Scene, Snow, Beach, Sunset, Low Light, Spotlight, and Fireworks. White Balance: The camcorder's white balance system helps you accurately reproduce colors under different lighting conditions so that white objects will always look truly white in your recordings. You can choose from the following modes: Automatic, Daylight, Shade, Cloudy, Fluorescent, Fluorescent H, Tungsten, Color Temperature, and Set 1/Set 2 (Custom WB). Cinema-Look Filters: The HF G21 allows you to record with the following cinema-look filters: Cinema Standard, Vivid, Dream, Cool, Sepia, Old Movies, and Memory. Still Image Recording: The HF G21 flash memory camcorder is also a high performance digital camera, capable of capturing stunning photos. Photos can be recorded at 1920 x 1080 in Photo Mode, or at 1280 x 720 or 640 x 360 while recording video. You can also capture 1920 x 1080 photos from movies you have recorded. Video Snapshots/Photos From Recorded Movies: You can record video snapshot scenes and still photos from a recorded movie. The size of the captured photos will be 1920 x 1080. Built-in Microphone: You can change the directionality of the built-in microphone to control how sound is recorded. The options include: Monaural, Normal (stereo), Wide, and Zoom. In addition, you use the audio equalizer to adjust sound levels for specific high- or low-frequency ranges. You can choose from Normal, Boost LF Range, Low Cut Filter, Boost MF Range, and Boost HF+LF Range. An electronic "wind screen" can be activated when conditions are windy to reduce wind noise in the microphone. There are two levels (High, Low), and Off. Auto Power Off: After 5 minutes without any operation when powered by the battery, the camcorder automatically powers off. Approximately 30 seconds before the camcorder automatically turns itself off, a warning message appears in the display. HDMI Output: The HF G21 features a mini-HDMI (Type C) terminal that offers a high-quality digital video and audio connection. No HDMI cable is included with the camcorder. AV Output: The camcorder features an AV output to playback audio and video on your television using the optional STV-250N composite video/stereo audio RCA cable. The AV output provides a down-converted analog video and audio signal for monitors with a composite audio/video input. USB 2.0 Connection: The camcorder features a USB 2.0 Hi-Speed terminal for fast transfer of photos and videos. The port has a Mini-B 2.0 terminal. Microphone Input: In addition to the camcorder's built-in microphone, the HF G21 features a 3.5mm stereo microphone input for connecting an external microphone (sold separately). With the optional SM-V1 Surround Microphone, you can record in 5.1-channel surround audio. The microphone input can also be converted to a line input in the menu. Headphone Jack: The camcorder has a 3.5mm stereo headphone output that allows you to monitor the audio during recording or playback. Remote Control Input: The camcorder features a 2.5mm sub-mini jack terminal for connecting an optional remote control unit. 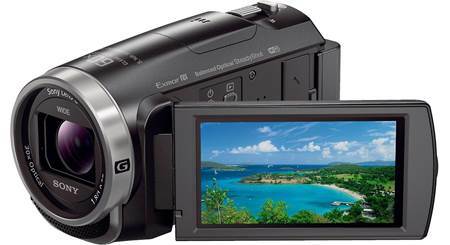 Data Import Utility: The Canon HF G21 camcorder does not include software in the box. Data Import Utility (Ver.2.4.x) from Pixela is the software that works with the camcorder to help you import and save movies you've recorded. It also lets you combine and save scenes that were divided in the camcorder due to their length or file size restriction, or during relay recording when switching from one SD card to another. Windows 7: Home Premium, Professional, Ultimate, Enterprise; 32-bit and 64-bit versions supported; SP1 must be installed. 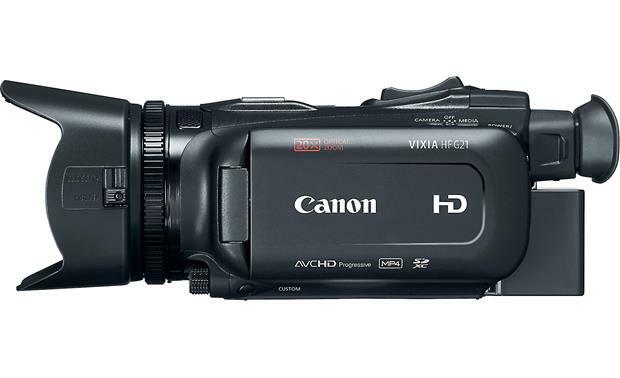 Searches related to the Canon VIXIA HF G21 HD camcorder with 20X zoom lens and Wi-Fi®.